Mobile operator O2 (Telefonica) confirms that an unspecified “global software issue” has been identified as the cause of a major mobile data (mobile broadband) connectivity outage on their national UK 3G and 4G network this morning. Mobile providers in other countries are also believed to be affected. The problems appear to have started just before 6am this morning, although contrary to O2’s statement we’ve noted that a sizeable number of their customers are also reporting difficulties with making calls and or sending text messages. In response the operator appears to be encouraging their customers to use WiFi “wherever they can” instead. Unfortunately the outage also appears to be affecting customers of O2 based MVNO brands (e.g. Sky Mobile, Tesco Mobile, giffgaff and Lycamobile etc.) and any external services that rely on the operator’s data network (e.g. Transport for London’s bus timetable displays). We’re aware that our customers are unable to use data this morning. One of our third party suppliers has identified a global software issue in their system which has impacted us. We believe other mobile operators around the world are also affected. Our technical teams are working with their teams to ensure this is fixed as quickly as possible. We’d encourage our customers to use Wifi wherever they can and we apologise for the inconvenience caused. The network issue we are currently experiencing remains a top priority for us and we are working as quickly as possible to fix the issues. All O2 technical teams are working closely with one of our third party suppliers who has identified a global software issue in their system which has impacted data services. We believe other mobile operators around the world are also affected. We apologise to our customers for any inconvenience. 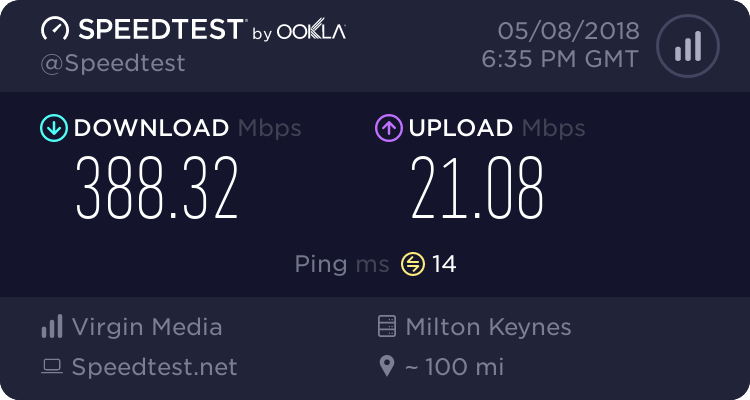 I'm with O2, and my data doesn't seem to be affected. I've got WiFi turned off on my phone, and I can still use the internet normally. The fault appears to stem from one of Ericsson’s software systems. If you don’t mind losing that priveledged access, it might be interesting to see whether it can still re-register, after enabling airplane mode for a few seconds. I’m not sure what that would prove, but it might disprove that you are completely unaffected? Our vehicle tracking system hasn't been very reliable today, had various messages saying they're having issues with o2. Everyone I know on o2 and its MVNO's have no data what so ever, including myself. Today has sucked, trying to do Xmas shopping with no internet access on my phone. An Amazon delivery guy turned up not long ago. Nothing unusual in that, except he'd trekked up through the back garden, and no sign of a van. Turned out his tracking system is off-air because of O2 and he's having a nightmare finding some addresses, so he'd been wandering around on foot looking for us. I think a neighbour must have pointed him at the back gate. Our place is hard to find at the best of times, I'm grateful he made the effort! Having just checked my phone again, I don't have internet access now. Another casualty, bought petrol and tried to pay with my watch. Nope, not working, o2 to blame. Odd really, as chip & pin worked fine. So communication was basically working. Not sure what was special about contactless, but the attendant seemed sure of his facts. I have since made another purchase with my watch, different place, worked fine. My phone is now working on 4G again. Ericsson president Börje Ekholm gave more detail about the cause of the disruption. He said "an initial root cause analysis" had indicated that the "main issue was an expired certificate in the software versions installed with these customers"
The wife is still using an old dumb Nokia: I have a basic Samsung smartie. We're both with Tesco MVNO as are my daughter's family. Texts sent from my wife's phone, and those from daughter have been repeating continuously all day. Until I had idea to call wife from our landline. The problem ceased. Someone has sore fingers from nearly 30 deletions. i wonder if compensation will be offered to contract holders for the lack of service. I'm sure they mentioned 2 days refunded and discounted top ups on the news earlier. it's quite humurous all these businesses (single man and bigger) complaining that they lost business due to the outage. well if you business relies on mobile comms that much then you should really have a backup plan. taxi companies where having to run out and buy PAYG sims on other networks just so they could keep running. maybe this will be the slap in the face they need to start considering disaster recovery plans.